Korjo adapters are the smallest, smartest and safest. 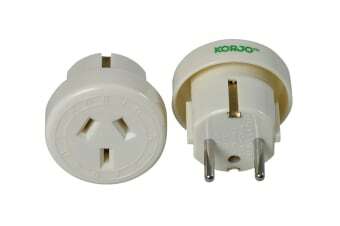 The Korjo Single Travel Adapter can be used in Europe, Bali, Noumea, Tahiti and parts of the Middle East, Asia and South America. Wherever you’re travelling, find the adapter you need in the Korjo Easy Adapter Guide.